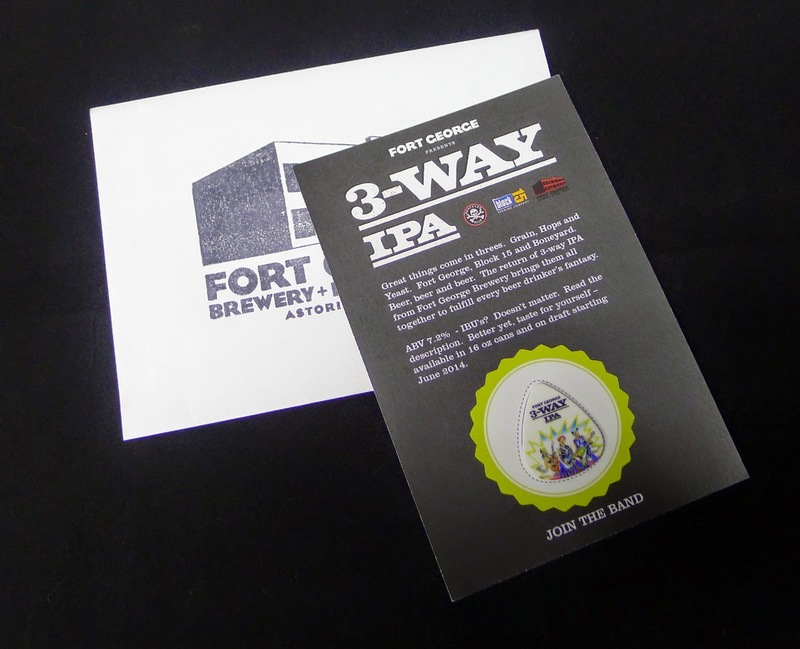 Like Babe Ruth's called home run in the 1932 World Series, the folks at Fort George Brewery had a pretty good idea what they were doing with this year's version of 3-Way IPA. They partnered with two of the hottest brands going, Boneyard and Block 15, and produced a huge summer hit. Coincidentally, it has also become the best-selling and highest rated beer in Fort George history. Not bad. I introduced this year's 3-Way after tasting it back in early June. At the time, I figured it would be huge. The melting of Boneyard, Block 15 and Fort George brewing values created a hop bomb with fantastic flavor and aroma. There are a few people who like that sort of thing. Fortunately, 3-Way hasn't been hard to find. It's been available in mainstream stores and beer specialty shops around town and on tap sporadically in a lot of places. There have been some minor batch variations, I think. Nothing serious. A pint I had at the brewery in Astoria was the best of the bunch for me, but it's been rock solid on draft and from the can. Production and sales numbers are pretty impressive, as well. Last year's 3-Way IPA, a collaboration with Lompoc and Gigantic, did fairly well. Fort George ordered and filled about 50,000 cans (2,100 cases) and brewed roughly 500 barrels to meet packaged and draft demands over the summer. Anticipating bigger things this year, they started with 87,000 cans (3,600 cases). Once the beer hit shelves in June, sales skyrocketed and it was clear they would need more. So they ordered another 50,000 cans, for a total of 137,000 (5,700 cases). By the end of August, they will have brewed more than 1,300 barrels of 3-Way for draft and cans. Then there's the rating game, where 3-Way IPA has earned the highest marks of any Fort George beer, according to sources at the brewery. The beer gets a 96 on Beer Advocate, putting it in the World Class category. It earns another positive (4.07 our of 5) rating on Untappd. Beer fans seem to like it. The time to seek this stuff out, if you haven't already had it or want to stock up, is now...before it's gone. 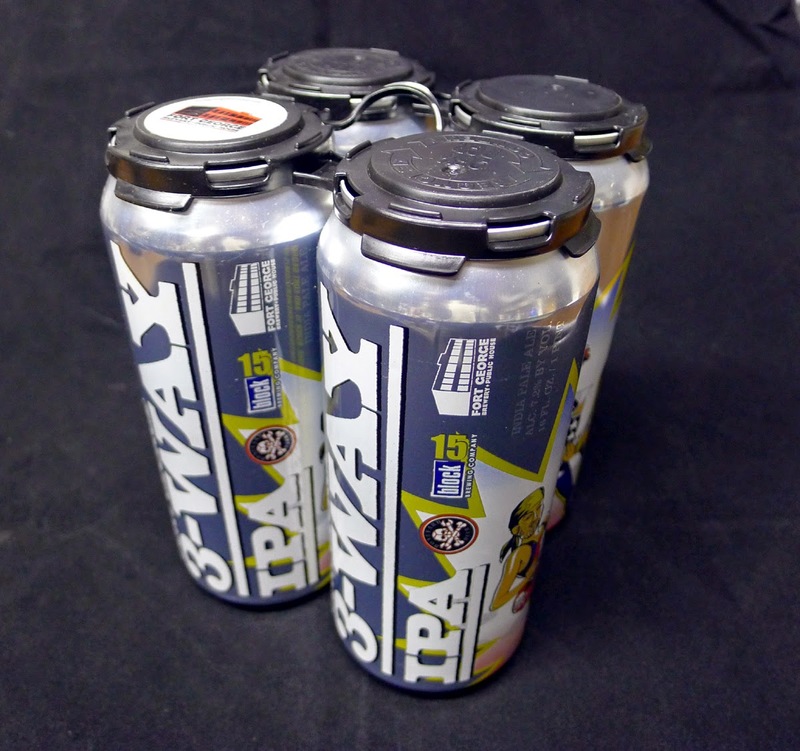 The last batches of 3-Way will leave the brewery in late August or early Sept. Hopheads should be able to find it in stores and on draft through mid-September. Once this year's 3-Way is gone, you'll have to wait until 2015. There will be a brand new version of 3-Way next summer. The folks at Fort George aren't yet sure who the collaborating breweries will be, but that information is coming soon. Something to look forward to. A great IPA. I have had it on tap and in cans quite a few times. I need to stock up.